I’ve already expounded on my utter dread at the notion of a Farrelly brothers-directed Three Stooges movie, so perhaps it’s best if I just present the first full cast photo to you. 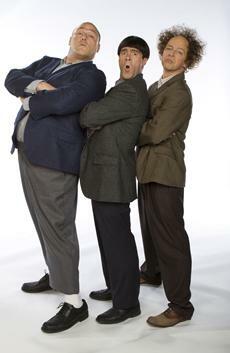 This shot of the titular trio — played here by Will Sasso, Chris Diamantopoulos, and Sean Hayes — comes courtesy of USA Today. The same article notes that this will avoid the R-rated humor of the Farrelly brother‘s oeuvre; by sticking to PG, it’s more in line with this group’s original performances. I suppose there’s at least something about this movie that I can respect, then. 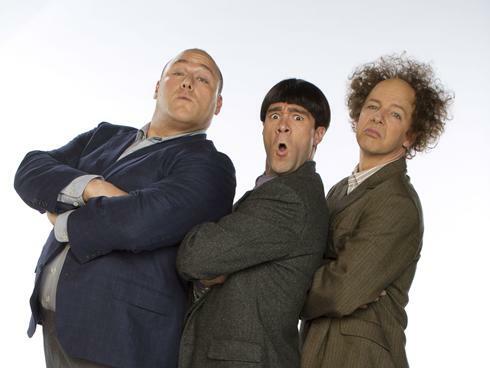 Also starring Larry David, Sofia Vergara, Jane Lynch, and Jennifer Hudson, The Three Stooges opens on April 4th, 2012. Does this cast photo alter your expectations at all?